I received the PowerPort 5 Wireless pad to review, this is my thoughts and opinions on this device and may different from others opinions. 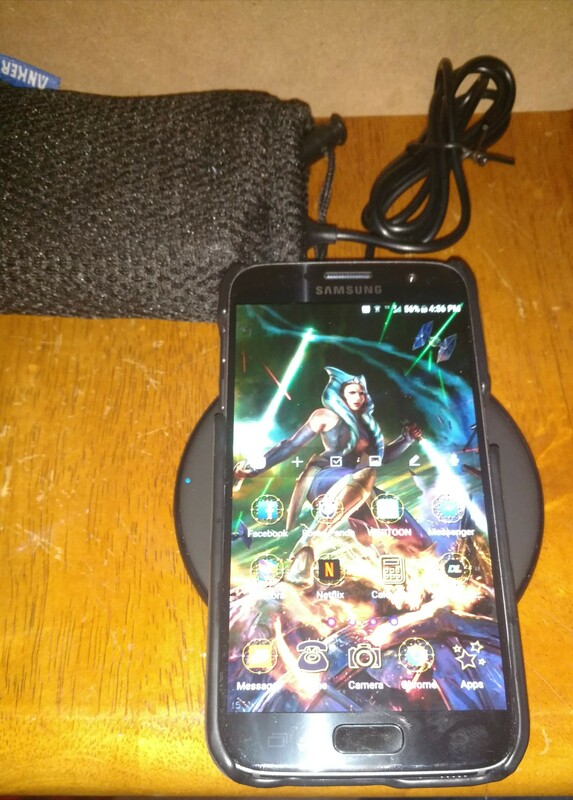 In the past I was adamant about not using wireless charging due to it being rather slow and cumbersome. Not to mention you couldn't play games or really use your phone while it's charging. My opinion has quickly changed since using this wireless pad. 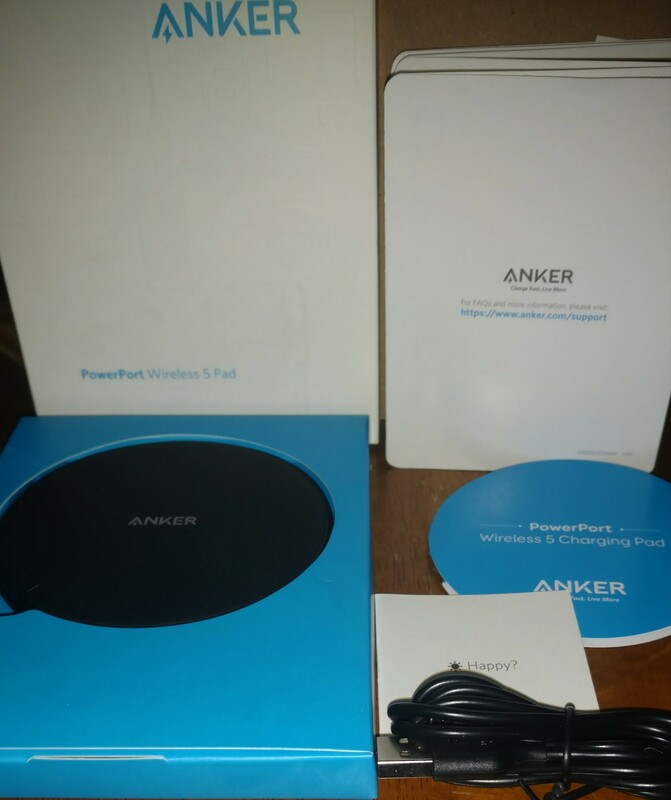 Upon receiving the item, it's in the standard white and blue Anker box. The box itself is rather slim, similar to the box the tempered glass screen protector comes in. Once opened up you are greeted with a blue slide out box, there lies the wireless pad along with quick guide and another that's listed in 7 different languages to explain the light and safety instructions. The pad itself is a 4inch round pad. It's surface is covered in a soft rubber coating, similar to what's found on some tpu cases. The underside of the pad is a soft felt like material that prevents the pad from slipping or sliding on a table. Inside the package is also a 3ft long Micro USB cable to plug into the pad, sadly a wall plug isn't included....but it is stated that one isn't included if you were to buy one. Charging time varied whether I used a case on the phone or not. 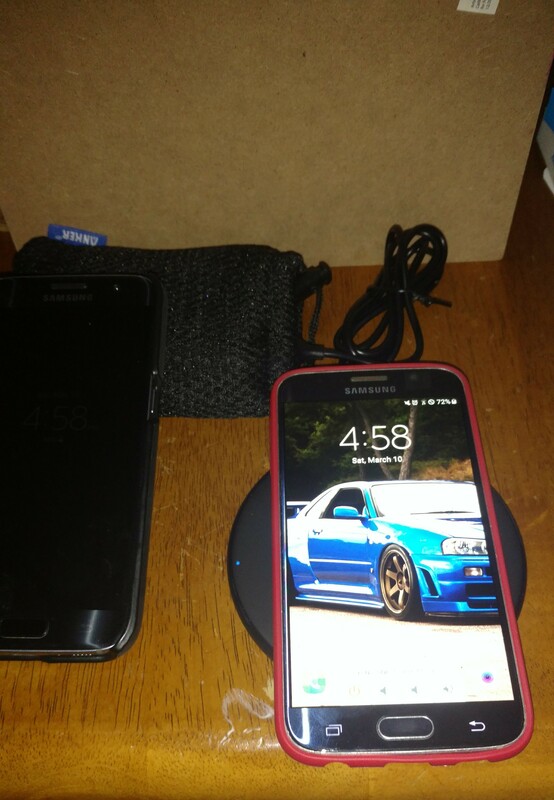 But the galaxy S6 and S7 took the similar almost 3 hours to fully charge and the note 5 took almost 5.5 hours to charge....but to it's defense I left the OtterBox case on the note 5 as it's a work phone and not mine, I just borrowed it for testing purposes. The charge time is almost similar to the standard charger but not the rapid charger that comes with the Galaxy phone's. The best thing about the wireless pad is that neither the phone nor the charging pad ever got hot or even warm to the touch. Which, when using the rapid charger that comes with the phone, it always heated up to a certain extent. While the pad isn't the ideal placement for your phone, like the stand is, I find it more beneficial this way. I am less likely to pick up or play with my phone and game or watch videos with it laying flat. This means my phone can charge or stay charged uninterrupted until I am ready to go,in which I can just grab the phone and leave without having to unplug anything. With better technology emerging in regards to wireless charging, and the fact more cell phone companies go this route it is almost imperative we do the same. 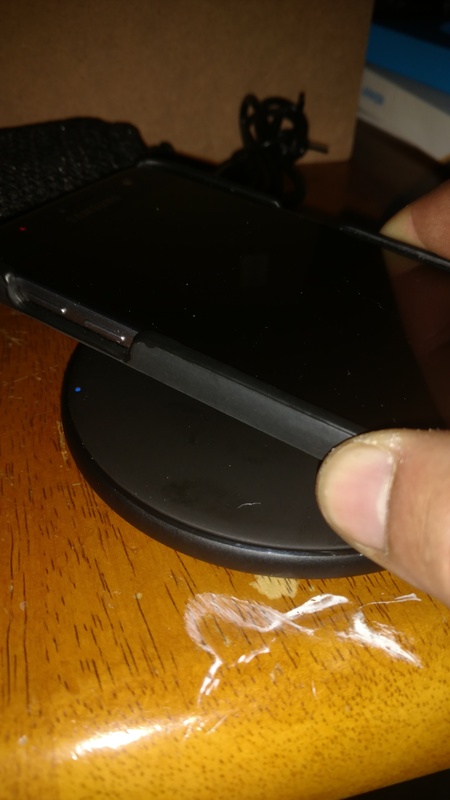 If you have had any reserve about wireless charging, don't as the charging times are improving. I assumed it's cause I kept the very thick OtterBox case on the phone. Although I'm not sure because I borrowed the phone for testing and the owner didn't want me to remove it, so I couldn't test without it.